Cruiser College offers this combination course taught by an experienced offshore cruiser and local refrigeration/HVAC specialist, Woody Wentworth. We all love our creature comforts and nothing transforms a boat from a ‘weekend camper’ to an extended ‘comfy cruiser’ quite like a refrigerator/freezer. When properly designed and installed you should enjoy 15-20 years of trouble free service. However, refrigeration is usually the single biggest drain on the batteries. Fortunately, improved solar panels, solar chargers and modern AGM batteries (all much cheaper in the past few years) means that you can probably eliminate running the generator/engine to charge the house bank. Did you know that a solar array can pay for itself in as little as three years compared to charging with an internal combustion engine? – and your batteries will love you for it! After this 3 hours course, you will understand how to improve or upgrade your refrigeration system and how to keep the batteries charged. 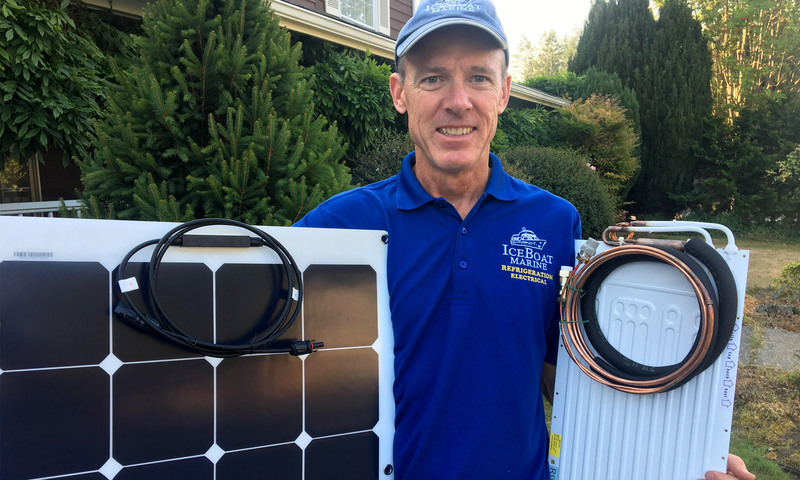 Woody is a retired military officer, offshore sailor and owner of ‘IceBoat Marine’ – specializing in marine refrigeration, solar and heating, and electrical. An ABYC Certified Master Technician, he is a factory certified installer and troubleshooter for most refrigeration/AC, and heating systems. Woody teaches Marine HVAC at the Skagit Valley Marine Maintenance Technology Program. When not fixing others’ boats, Woody and his family which includes three children, are out cruising (and of course, fixing stuff!) year-round.